IT'S YOUR CHANCE TO JOIN THE RESISTANCE. There is good and fresh news about The Hand of Madness, the first official promotional product of the blog-series is already available in the store. It is a high-quality hoodie with an exclusive design based on the Resistance, the revolutionary and anarchic movement of the Madness Serial universe. 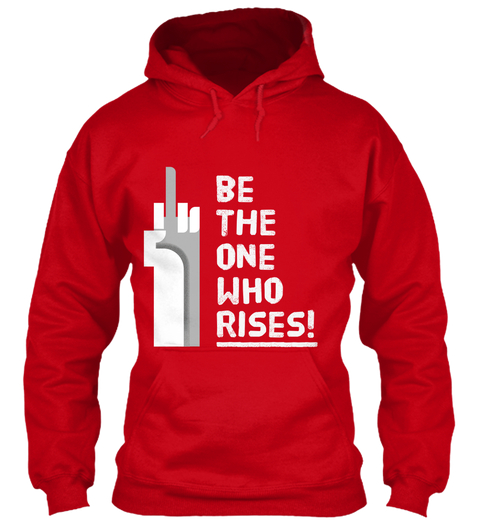 Available in three colours (red, black and grey), this unique design hoodie has an introductory price of USD 38.97 and you can purchase it from the store or from our section in Teespring. Remember that the funds raised through the sale of these promotional items will serve for the expansion of the Madness Serial project and for the propagation of it. So, if you can and want to contribute, do not hesitate because it will be of great support, and you will also be acquiring a product of excellent quality which will reach the door of your house.